Norman Shealy is one of the world’s leading experts in pain management. He was the first physician to specialize in the resolution of chronic pain. A pioneer in developing safe and effective treatments such as Biogenics, he founded, in 1971, the first comprehensive pain and stress management facility in the country, The Shealy Institute, respected world-wide for its innovative and successful rehabilitation approaches. Over the years, Dr. Shealy’s intensive pain and stress management research has resulted in numerous pioneering treatments. His published works total over 325. His seminars and workshops are given worldwide, and attended by physicians and lay persons alike. He has acted as consultant to leaders in every specialty, including the personal physicians of President’s Kennedy and Eisenhower. The noted English physician Dr. Francis Peabody said “The secret of the care of the patient is in caring for the patient.” Dr. Shealy has long adhered to this philosophy. He once commented to a friend, “The most common symptom among humans is pain, but nobody seems to specialize in treatment of this symptom.” From there, he went on to establish the Shealy Institute, a center for the treatment and research of chronic pain. This medical center has become world renown for its foresighted therapies and treatments. Dr. Shealy, now retired from clinical services, continues his research and teaching, and shares his concerns for patients and the medical profession alike with anyone who would enjoy his insight. 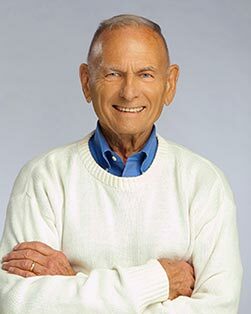 Like Francis Peabody a century ago, Norm Shealy says today that “while the science of medicine is indispensable to the physician, it is the art of practicing medicine that heals the human body and soul.” For over 4 decades, Norm Shealy as been at the forefront of Alternative Medicine and Alternative Health Care. In the mid-60’s he introduced his major innovations for pain control —Dorsal Column Stimulation (DCS) and Transcutaneous Electrical Nerve Stimulation, both now used world-wide. Shortly after that his emphasis broadened to include the vast field of Self-Regulation with the addition of biofeedback, autogenic training and his introduction of Biogenics ©, a major tool for stress reduction. Then he turned his attention to Holistic Medicine, founding the American Holistic Medical Association in 1978, to include the concepts of spiritual healing and spiritual health. This led to almost 30 years of research into an emphasis on anti-aging. He discovered 5 intrinsic electrical circuits in the human body. These selectively raise DHEA, neurotensin, calcitonin, oxytocin, aldosterone or lower free radicals. Upon completion of this work, he theorized that average life should be 140 years of age. More recently he has demonstrated regrowth of telomeres, the tail of DNA. Telomeres ordinarily shrink 1% each year after birth. His work with the RejuvaMatrix is the first to demonstration rejuvenation of telomeres, a major key to anti-aging and longevity. Overall, Norm’s work has expanded the field of Energy Medicine, using electrical, electromagnetic, mental, physical and emotional tools for health enhancement. He has been president of the International Society for the Study of Subtle Energies and Energy Medicine. His work with Caroline Myss let them to start the first doctoral program in Energy Medicine. In 2001, that work led to the establishment of Holos University Graduate Seminary. He was President of Holos University for its first 7 years and is now Professor Emeritus of Energy Medicine. Throughout his career, Norm has considered Self-Health to be the foundation for all of life. He founded Self-Health Systems in 1974, to provide tools for assisting individuals in their approach to health. His first major book, 90 DAYS TO SELF-HEALTH sold 130,000 copies I n the mid-70’s. Most recently, Norm has focused on MEDICAL RENAISSANCE”THE SECRET CODE, a 90 minute DVD which demonstrates the success of a comprehensive, holistic approach to almost all illnesses. In over 30,000 patients with chronic pain and depression, his success rate of 85% is unequaled. For over 20 years his weekly radio program on KWTO in Springfield has been the most popular call-in program in the Ozarks. Norm’s latest discovery is specific blends of essential oils which can effectively stimulate the circuits which enhance DHEA, oxytocin, calcitonin, and reduce free radicals. The Bliss Oils are Sacraments of the Nemenhah Native American Church. The most popular, Air BLISS is receiving rave reviews from hundreds of users. It provides detached calmness and relief from both depression and anxiety.